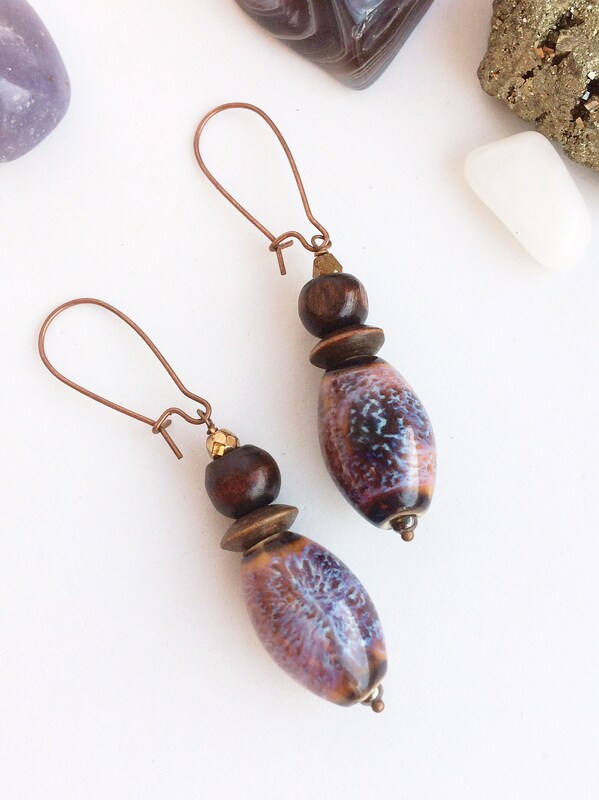 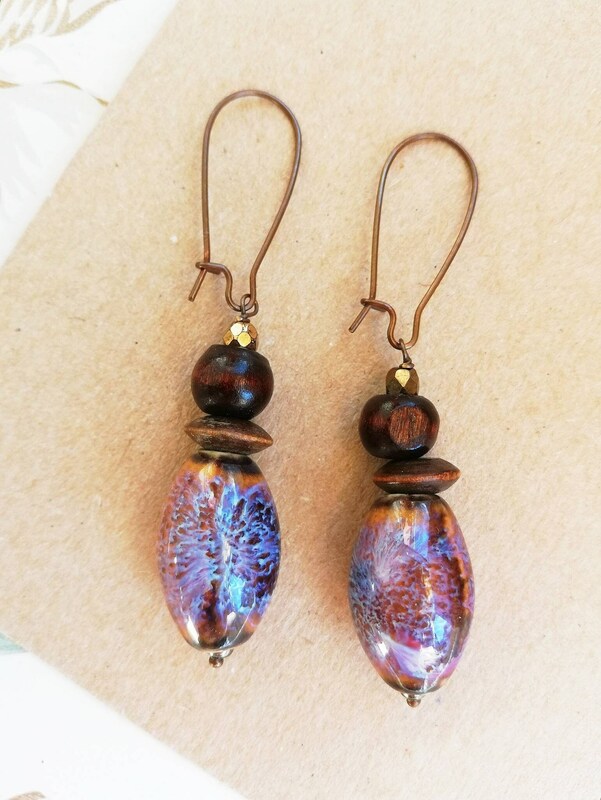 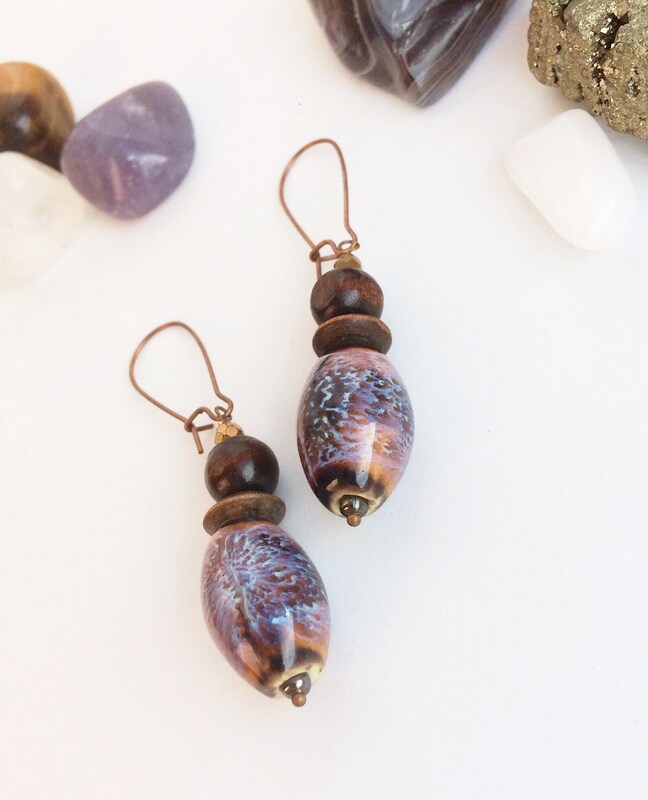 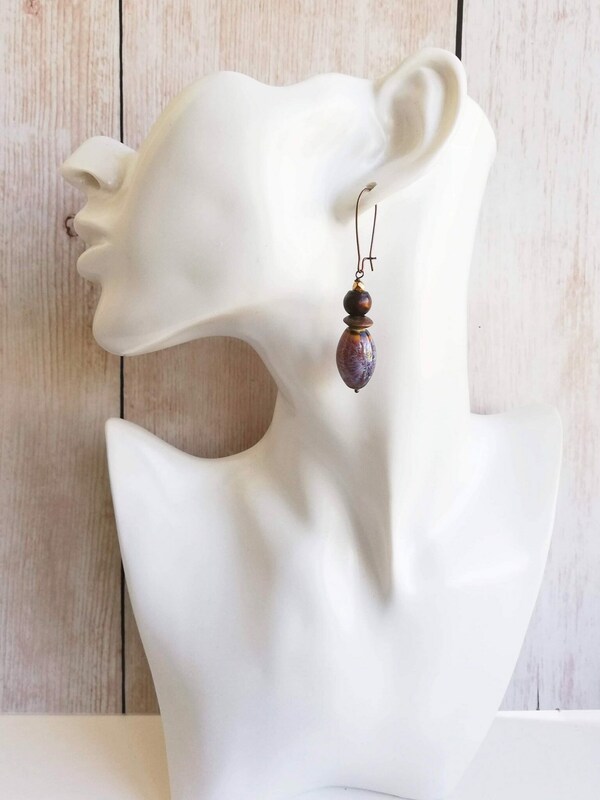 A unusual pair of boho statement earrings with ceramic oval beads. 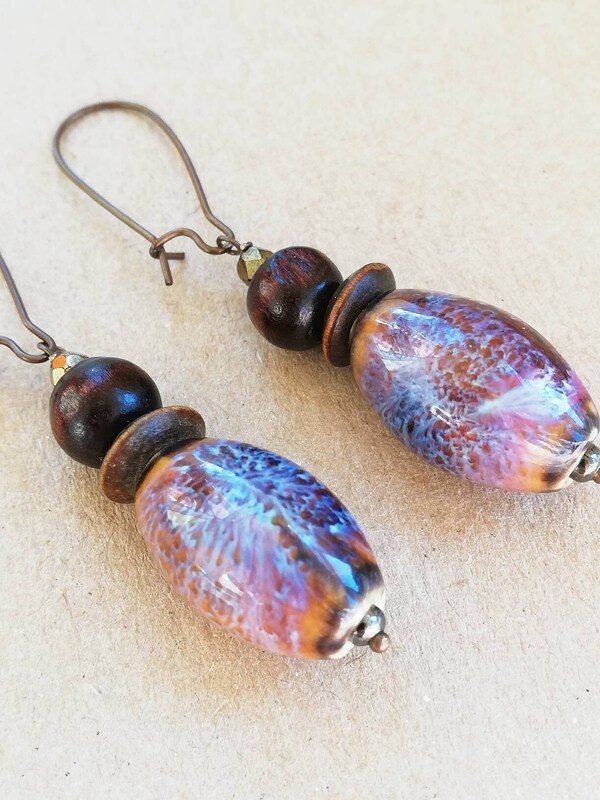 The beads are hand dyed in a abstract pattern of purple, blue, pink, orange and brown colours, almost like a tie-dye effect. 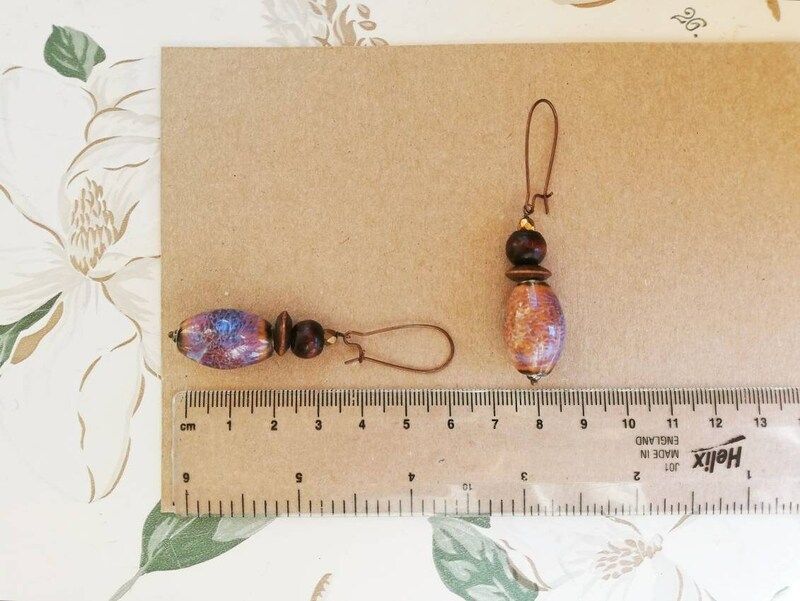 The handmade beads are sized 20x13 mm. 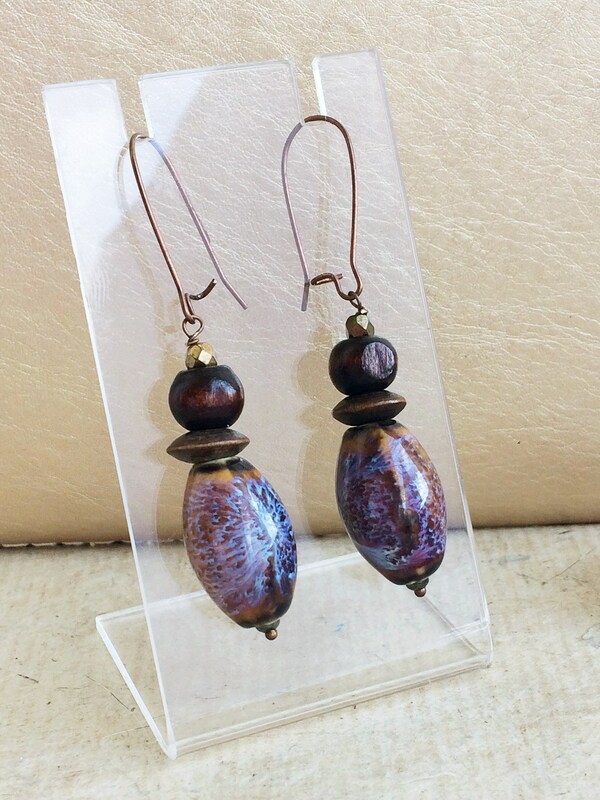 I picked out some of the colouring in the pattern with complimentary rustic wood beads in a rich mahogany and deep oak colour. 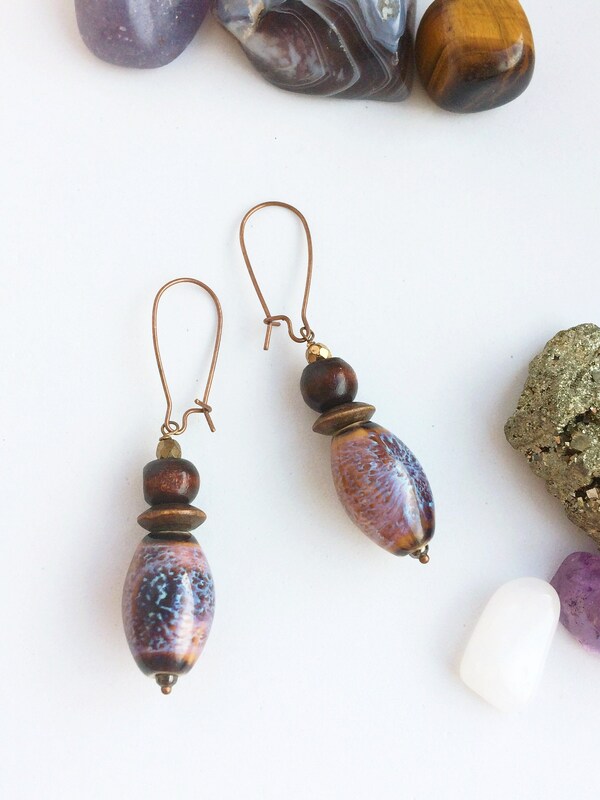 The differing shapes and textures, along with a small 4mm pressed glass gold bead, makes a visually interesting and well balanced geometric design with a total drop length of 4cm. 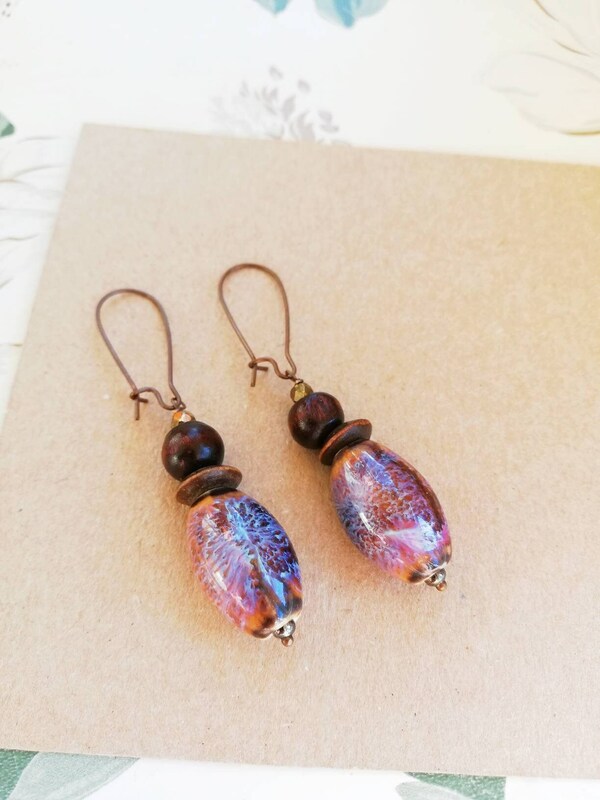 They are finished with copper coloured level back ear wires sized 2.5cm.